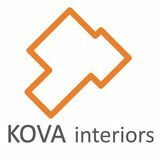 Introduction KOVA Interiors are experts in office design and refurbishment, with an aim to create inspirational workplaces throughout London and surrounding it areas. Kova specialises in office design, office space planning, office refurbishment, office furniture, office fit out, office relocations, etc. The team of office refurbishment experts works with clients every single step on the way, allowing them to be in control throughout the entire project. Rest assured that, the final result will leave great impression for you, your employees and your future clients. The project managers at KOVA Interiors work closely with clients and make sure projects are running efficiently, effectively and within deadlines. 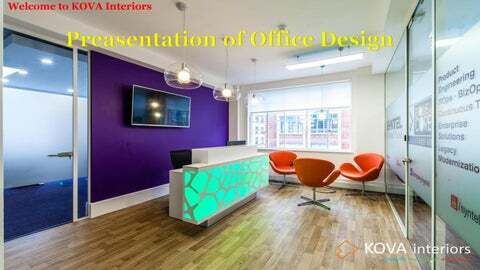 Office Design London Do you need professional help with office design in London? At KOVA Interiors we provide our clients with unique designs, layout options, 3D visualizations, walk-throughs, as well as expert suggestions related to your office design in London. Our professional team works with clients from early stages to the very end, making sure to bring your plans and ideas to reality. For a free quotation, feel free to call us today at 0845 625 6241.